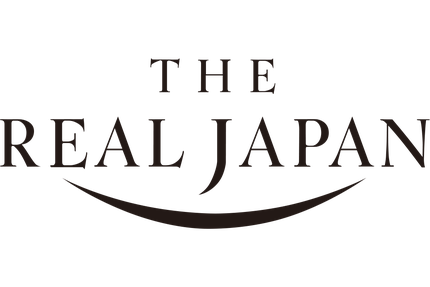 The brand “The Real Japan” is owned and operated by Magellan Resorts and Trust Inc.
For purposes of the policy, references to “we”, “our”, and “us” mean The Real Japan. For all trips the contract is with Magellan Resorts and Trust Inc, News Bldg., 3-1-10 Ekinishishinmachi, Kanazawa, Ishikawa-ken, 920-0027 Japan. A binding contract is only entered into after we have received a deposit payment or the full trip fee. By making the booking you accept that you have the authority to bind all members of your party to those terms and conditions. It is imperative that you check all the travel details we have confirmed and inform us immediately of any errors. 1) You make enquiries to TRJ and we have an initial discussion with you in order to determine exactly what kind of experience you seek. We propose a basic itinerary and send an estimated quote for the trip that we design for you. We continue to discuss with you the itinerary with every detail tailored to your satisfaction until you agree to every detail in the itinerary and the exact quoted Trip Price provided by us. 2) We send you a deposit invoice, equivalent to 20% of the total Trip Price. The deposit payment is required within 7 days after issuing the invoice. 3) We proceed to book all the arrangements in the agreed itinerary and issue a Reservation Confirmation Sheet. 4) Final balance is due 35 days prior to tour commencement. When we have confirmed the full payment, we send all the necessary documents including your final itinerary one week prior to tour commencement. 1) You make enquiries to TRJ. We have an initial discussion with you in order to determine exactly what kind of experience you seek. We propose a basic itinerary and send an estimated quote for your trip that we design. We continue to discuss with you the itinerary with every detail tailored to your satisfaction. You agree to every detail in the itinerary and exact quoted Trip Price provided by us. 2) We send you the invoice for your trip and ask you to send a signed copy of our Agreement at this stage by fax or e-mail with the copy attached. Full payment should be made as soon as possible so that we can book your arrangements. 3) We proceed to book all the arrangements in the agreed itinerary and issue a Reservation Confirmation Sheet. When we have confirmed the full payment, we send all the necessary documents including your final itinerary at least one week prior to tour commencement. 1) Our quotations generally include the following services and amenities. Please refer to your invoice to confirm the exact inclusions. - Personalized trip planning, handling and operational charges before and during your trip. - Private sightseeing with guides available in major languages including English, French, German, Italian, Portuguese, Russian and Spanish. - Privately chartered & chauffeured vehicles. - Guest rooms in hotels and ryokan accommodations including hotel taxes and service charges. - Internal flights and regional surface transportation, including airport transfers. - Meals as indicated in your detailed itinerary. - Admission fees for all the places to visit included in your personalized itinerary. - Reservations at restaurants, spas, cultural events and performances. - Access to private gardens, artists and art collections, special-interest lectures if requested). 2) The invoice will be sent to you after you have agreed to every detail in our proposed itinerary with all the inclusions. - An initial deposit equivalent to 20% of the total Trip Price is required within 7 days after we issue the invoice. We reserve the right to cancel your trip, should you fail to make the payment. - Final balance is due 30 days prior to tour commencement. In the event that you fail to pay the balance 30 days prior to tour commencement, we reserve the right to cancel the trip and the cancellation terms shown below shall apply in full. 3) We do not provide line item breakdowns and only accept payment in Japanese Yen (JPY). Although we recommend booking well in advance, we endeavour to deal with urgent bookings when necessary. “Urgent Bookings” are defined as bookings made within 30 days or less, before tour commencement. Any booking request made within that period or within a supplier cancellation period cannot be processed until we have received full payment at which point our cancellation terms will be applied in full. 1) Cancellation must be made in writing by e-mail or fax, within our business operation hours (9:30 a.m. – 6:30 p.m.). Cancellations requested outside business operation hours will be dealt with and considered received the following day. 2) The date of cancellation is deemed to be the date on which TRJ receives written notice of cancellation based on Japan Standard Time (GMT+9). Please consider the time difference between Japan and your country. No Cancellation Fee, except for items under "special cancellation policy"
20% of Total Trip Price / 100% for items under "special cancellation policy"
50% of Total Trip Price / 100% for items under "special cancellation policy"
100% of Total Trip Price / 100% for items under "special cancellation policy"
Following items will be subject to 100% cancellation fees, once deposit has been made. - Train & Plane Tickets: 100% cancellation fee applies, as we book & issue train & plane tickets, as soon as we receive the deposit. - Special arrangements: including but not limited to private encounters, private visits, hands-on activities, etc. As a matter of etiquette, a private encounter or visit cannot be cancelled without a 100% cancellation fee. - Restaurant bookings: High-end restaurants may charge up to 100% of the reserved menu price for late cancellations. We reserve the right to forward any charge from the restaurant for late cancellation. Please notice us at least 3 days prior, in writing. Should you wish to alter your arrangements after your original booking, you should notify us in writing and we will try to accommodate you. However, due to extra administrative costs involved, we are obliged to make a charge of 10,000 JPY per arrangement after confirmation. Amendments within 30 days of tour commencement are subject to cancellation as above. You agree that some activities and destinations may be affected by prevailing weather conditions and unexpected changes may have to be made after tour commencement. If we consider the weather to be unsuitable for a specific activity or destination, we reserve the right to cancel or alter that activity or destination. In the event that TRJ has to cancel an activity or destination, every effort will be made to replace it with an alternative of equal interest and value. If we cancel your trip, we will make a refund for all the arrangements except non-refundable ones with third party suppliers. Payment will be made by SWIFT transfer payable to our Bank A/C or by credit card. If you opt for the former option, please see the bank details below. You will send us a proof of payment via email or fax as soon as the payment has been made, which would immediately allow us to identify any mistakes concerning the transfer if that occurred. When you make a bank transfer to our designated bank account, you are required to pay the remittance commission that your bank charges, but not required to pay the receiving bank’s charge at our end. Payment is complete when we have confirmed the transfer of the money at our end. Our trips may entail destinations where facilities, infrastructure, and other standards may not be as sophisticated as those in the countries where you reside. Medical facilities and services may not be readily accessible and may not be satisfactory. There are other risks associated with trips, such as theft or loss of or damage to property. Some of the services provided in connection with the trip, including lodging, transportation, food service, and local tours and activities, are obtained from third parties. You accept any possible risks and assume full responsibility for any loss, injury or damage. It is your responsibility to arrange your own insurance in order to cover these risks according to your needs and the needs of your family or dependants. You expect us to make every effort to choose suitable travel service suppliers to provide services on the trips, but never hold us accountable for any operations of these suppliers. Therefore, travel arrangements are made on the condition that we will not be liable for any conduct by them. The services provided by independent suppliers are subject to the laws of the place where the services are provided, and any conditions imposed by those suppliers. The liability of the independent suppliers may be limited by their conditions. In consideration for participating in our trips you agree not to sue TRJ in respect of all liability for economic loss and physical or mental injury, direct or indirect, arising in connection with the trip including permanent disability and death; any emotional distress; any damage to or loss of property. You do not hold us accountable for any delay in the performance or any non-performance of the company’s obligations under the travel arrangements if the delay or non-performance is due to circumstances beyond our reasonable conduct, including but not limited to acts of God, war or threat of war, terrorist activity, riot, civil strife, industrial dispute, earthquakes or any other natural disasters, fire or adverse weather conditions such as torrential rain. You do not hold us liable in respect of transportation failure including but not limited to delay in the outward or inward flight(s) of travellers, whether the cancellation or delay is caused by the weather, airline rescheduling, industrial action or mechanical failure. You agree not to ask us for any refunds or compensation for lost time and services from the itinerary due to delayed or cancelled flights, cancelled public buses, trains, or other forms of transport included in your itinerary. You should be fully informed about Japan’s new immigration policy. Foreign nationals who apply for entry into Japan will be required to be fingerprinted and photographed by means of special devices, and then interviewed by immigration inspectors. Failure to comply with the procedures will result in refusal of entry into the country. It is imperative that you accept these new procedures on arrival.